In February 2010 we finished work on a very exciting exhibition for the Victoria and Albert Museum in London’s Museum of Childhood, in Bethnal Green. Working in partnership with Wells Mackereth Architects we produced all the graphic panels, object labels and marketing material for their temporary exhibition on childrens seating. 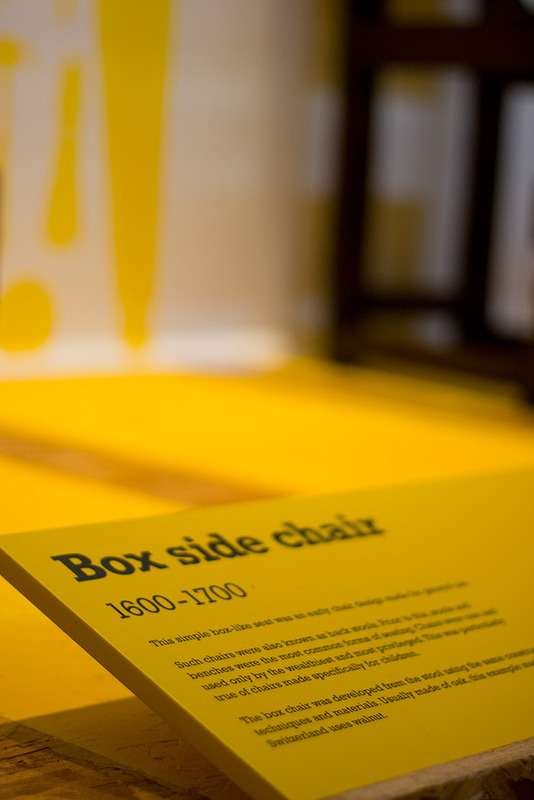 “Sit down: Seating for kids” ran until September 2010 at the museum and the exhibition used a dual layered graphical approach to appeal to both adults and children, with various interactive activities to encourage children to engage with the subject matter. A whole host of images are available on our blog and also on this page on the blog (news).